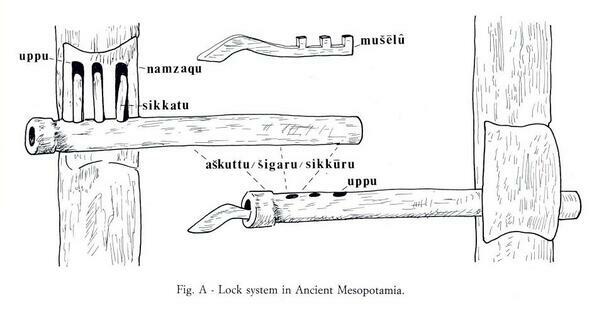 The pursuit of lock picking is as old as the lock, which is itself as old as civilization. But in the entire history of the world, there was only one brief moment, lasting about 70 years, where you could put something under lock and key — a chest, a safe, your home — and have complete, unwavering certainty that no intruder could get to it. 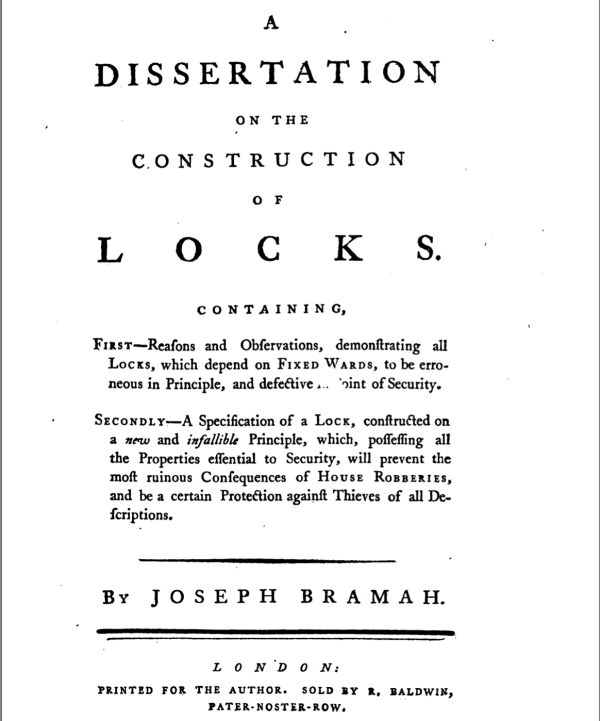 Bramah’s new unbeatable lock — and the hooplah surrounding it — caught the attention of the British crown. 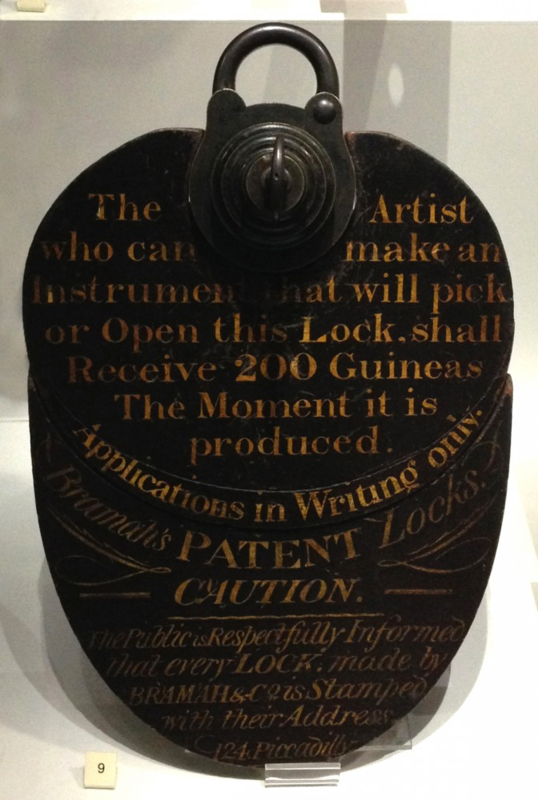 The British government wanted to up the game; they wanted a lock that wouldn’t just be unbreakable, but would also alert the owner if someone tried to open it. Another locksmith named Jeremiah Chubb met that challenge with his Chubb detector lock. The government awarded Chubb £100 for his innovation. Thus, if lock owners went to unlock a chest, or a vault, or a front door, and found that their key didn’t work, they would know that someone had tried to get in — and that they had failed. 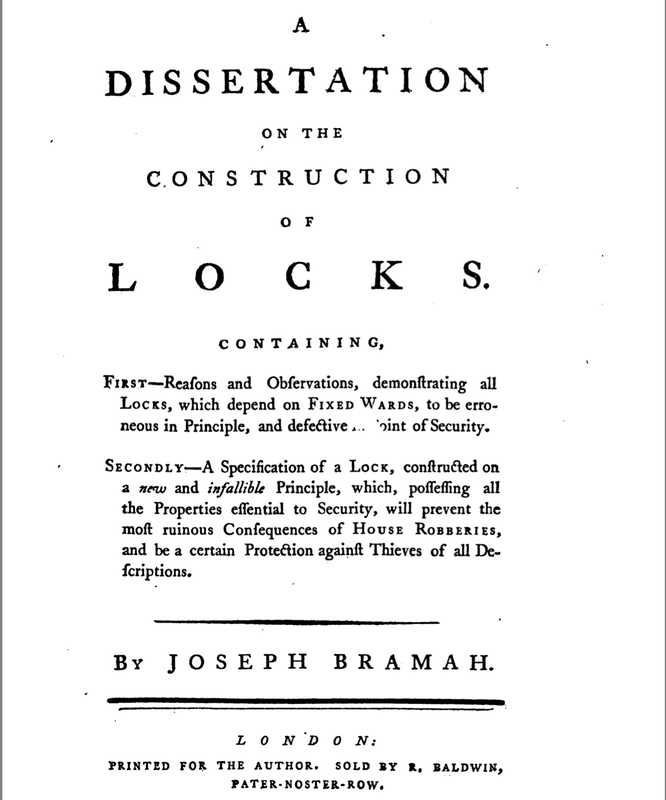 For years, the names Chubb and Bramah were all but interchangeable with “perfect security” — but only until the Lock Controversy of 1851. In 1851, London was hosting The Great Exhibition — the first international exhibition of manufactured products. On day one of the exhibition, Hobbs publicly announced that he would pick the Chubb detector lock — the one that stops working if you pick it incorrectly. But the Chubb detector lock was really just a warm up. The main event was the Bramah safety lock — the one with the challenge painted on it in gold lettering, which had been sitting Bramah’s storefront window for 70 years, unbeaten, taunting lock pickers everywhere. Locksmiths weren’t able to convince the public that perfect security could be restored, but they did keep inventing new locks. 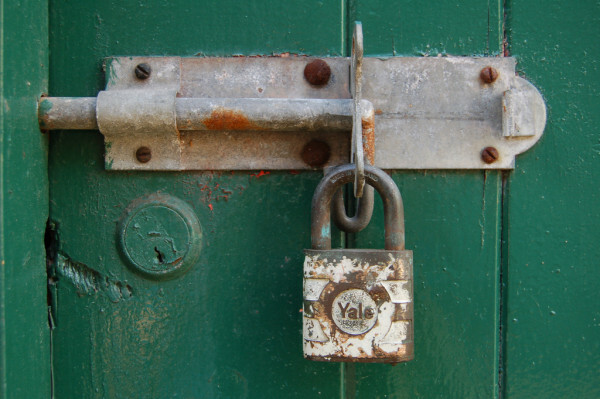 One such locksmith was Linus Yale, Jr. You have probably seen present-day locks with the name “Yale” on them—that’s because Yale’s company was able to mass produce their locks at a scale that no one had before. 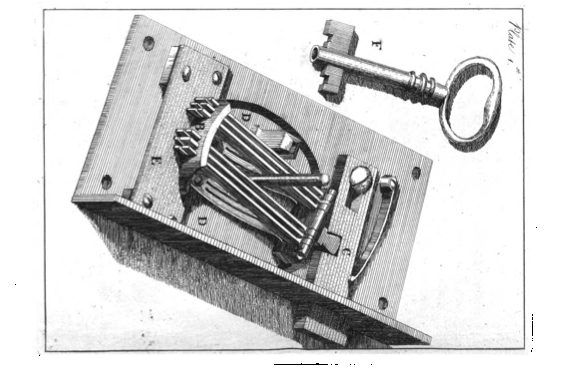 The design was called “pin and tumbler” — it became the world’s most common lock, and they are still made today. It’s probably the lock you have on your door. 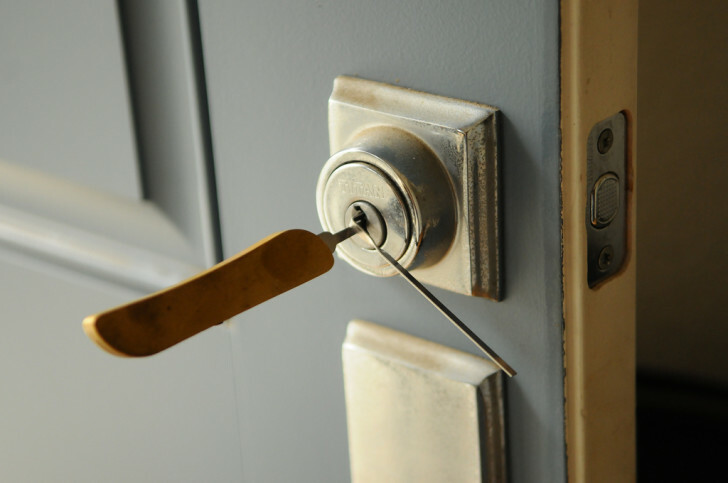 The lock on your front door is probably pretty easy to pick, but using a crowbar or going through a window would probably also suffice. 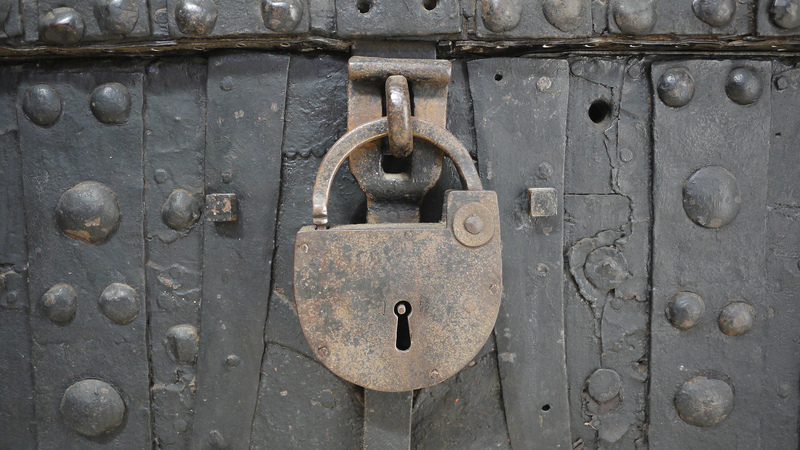 It’s not just locks that keep us safe — it’s the existing social order. 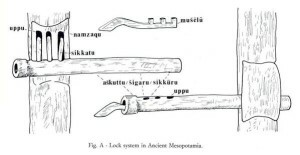 Today, locks have become a social construct as much as they are a mechanical construct. The world may have moved away from Joseph Bramah’s “perfect security,” but his legacy of locksport lives on — even if the competition itself looks a bit like tedious factory work. In what manner? It appears that the Swedes went through quite a few changes in the 1800’s. Did 99PI know the back story to Schuyler Towne when you interviewed him for this story? He had one of the most successful Kickstarter campaigns in 2010 – over $87,000 pledged against a $6,000 goal. Due to various problems and poor choices associated with the excessive demand the project spiraled out of control and led to Schuyler having a complete nervous breakdown. Even now in 2015 only a tiny fraction of the rewards for the Kickstarter have been fulfilled. Though he and others still seem to be working on it, the pace is glacial. Fantastic read, and very on topic to this episode. In general, I’ve been pretty open about both my private and public failures, and my personal struggles with mental health. I genuinely believe that openness will help me overcome them. And though it does occasionally bum me out that regardless of the context, those failings will doggedly attach themselves to all other work I do in my life, I do appreciate the opportunity to acknowledge them and encourage others who are struggling to get the help they need. Sorry but what’s the song at 10:40? How does the Kryptonite New York Fahgettaboudit U-Lock hold up to a picking? My dad always said, “locks only keep honest people out.” Social construct indeed. Bramah is a distant relative of mine and it was great to hear this story from my favorite podcast! 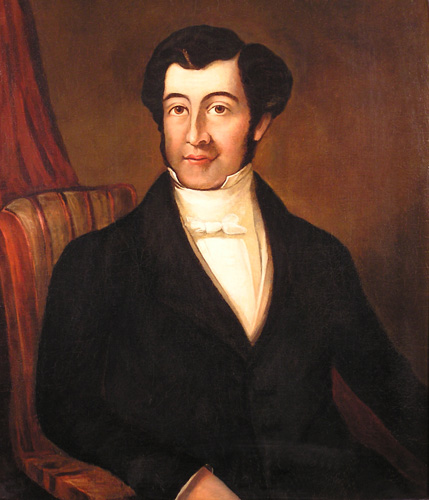 He also created the first beer tap, which I sometimes use right before his more famous invention. Also, his pneumatic press was an important development. Especially since it kills the Terminator at the end of first movie in that series. Current inflated value of 100 pounds is around 7300 pounds today (11k US).